I was once told that managing people means giving up control of a project but maintaining responsibility for it’s being done properly. Sounds scary, doesn’t it? 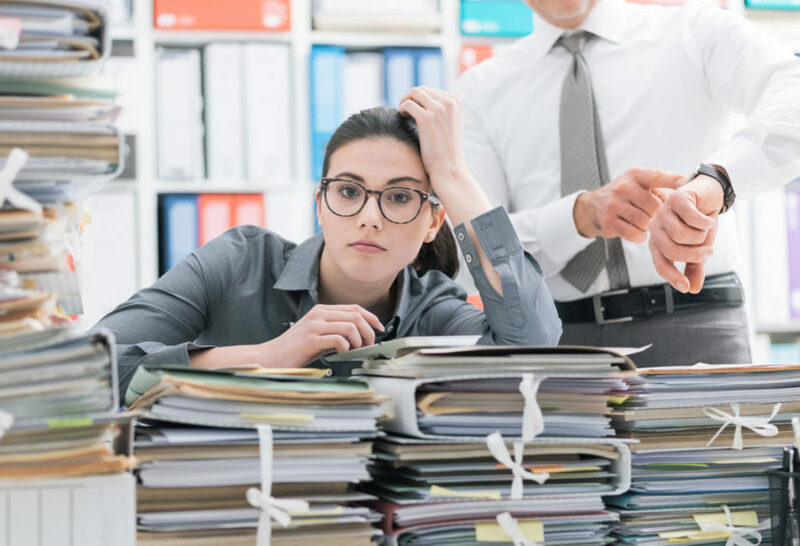 The stress of being responsible for something — possibly something big and expensive — means that managers may want to maintain close scrutiny of their teams. Whether you’re the manager or manage-ee, however, micromanagement isn’t the best way to get a job done, and it definitely puts a damper on team morale. Employees Are Completely Dependent Upon the Manager. You know that scene in Shawshank Redemption when Red, after being released from prison, asks his new employer for permission to use the bathroom? That’s what micromanagement looks like. If you feel like you can’t make simple decisions about a project without your manager’s okay, it may be micromanagement. And if everyone needs the boss’s rubber stamp to buy paperclips or decide what color looks best on the PowerPoint, you can be sure things aren’t getting done efficiently. If your departments is a revolving door, there’s undoubtedly a problem. A micromanager says to employees, “I don’t trust you to do your job,” and professional adults expect to be trusted. If they’re constantly being told what to do or being critiqued, it won’t take too long for them to grow tired of it and look elsewhere. The Manager Feels Burned Out. If you’re the boss, and you’re feeling burned out, take a look at your management style. Micromanagement is exhausting. If you feel you have to keep your finger on every bit of minutia your employees are working on, you’ll have little time for anything else and wear yourself out, without feeling like you’ve accomplished much. It’s much more satisfying to be able to trust your team to do their parts, so you can focus on the big picture. Employees Don’t Think Outside the Box. No matter what your line of work, innovation is key, and one of the best reasons to have a team is to gather a multitude of ideas. But micromanagement breeds people pleasers — employees trying to “get it right” instead of getting creative. Bu if a team feels their ideas and initiative are trusted and respected, they’ll feel comfortable presenting new initiatives. Everyone is Focusing on Details. You need detail-oriented people for any project, but details without a firm grasp on the end goal can be disastrous. A micromanager can get so mired in details, they lose sight of the main purpose. The manager’s main focus should be to support team members in their pursuit of the details while keeping the broad scope in mind. Find a way to trust the team. A workplace with a negative culture is a success killer. People who don’t feel trusted, who have trouble bonding with coworkers due to high turnover and who sense the stressed out nature of their managers are not happy. So, even though it may be scary at first, trusted employees make happy employees.